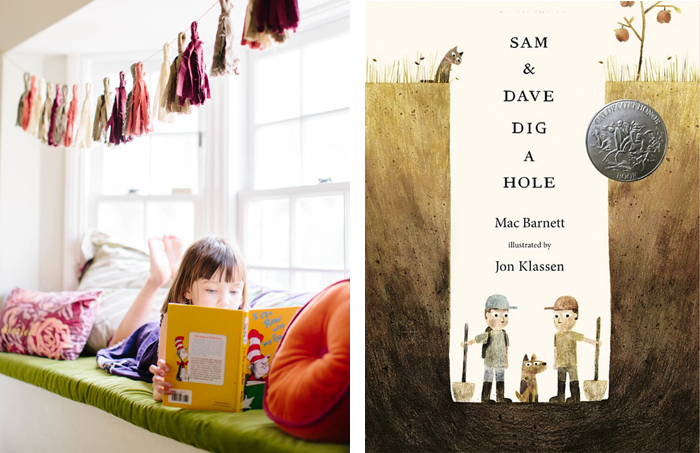 Last week we shared Ramona’s Sweet Nest as the first installment of our Nook with a Bookseries. This week we have Jaime’s very own Scarlet sitting high in her Los Angeles window seat. 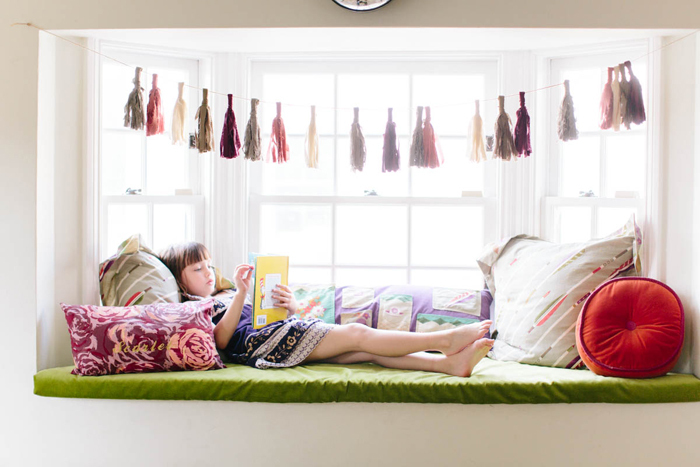 This bay window was transformed from a basic sill into a book nook for Miss S with the addition of velvet cushions in a soothing grass green, tons of pillows, and a whimsical no-sew tassel garland. And in case you are wondering, yes ma’am, many of these DIY projects can be found in our book, Pretty Prudent Home! Scarlet is at that wonderful age that still loves picture books but is also starting to enjoy chapter books, both on her own and reading with Mom. Here are two of her favorites this Summer. Sam and Dave Dig a Hole and Charlie and the Chocolate Factory. 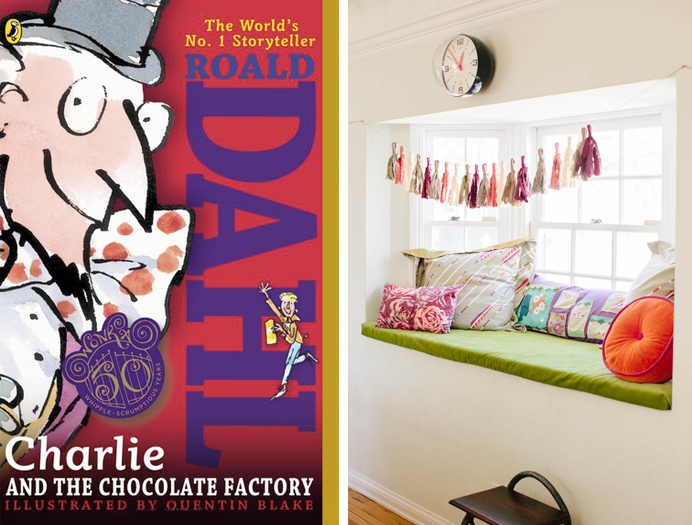 I want a reading nook!